I don’t know about everyone else but I think that whole “fashionista” show-and-tell last night dubbed the ABS-CBN Ball was damn tacky. I mean, there’s a fine line between edgy and plain old trying hard. 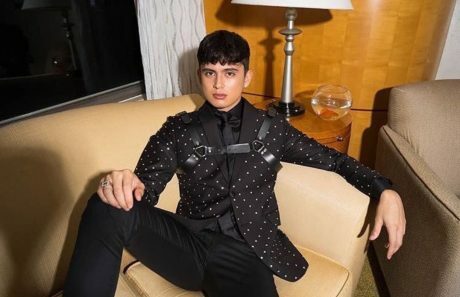 These after all are showbiz types — kiddies dressed under the guidance of showbiz costume designers who shape the caricatures of the rich that Filipino movie goers are familiar with. But the Filipino elite — the real ones — are nothing like the poor copies on exhibit in this Ball. To be fair, the untrained eye would be hard-pressed to find fault in the dresses of the girls. But, man, the boys. Their outfits were screaming f…. (sorry, we’re no longer allowed to used that word). The one worn by that JADINE boy (what’s his name?) really caught my eye. Aren’t shoulder holsters supposed to be worn on the inside of a dinner jacket? Is that a shoulder holster on the outside of your jacket or are you just glad to see me? Duuuuddde. If you really wanted to let people know you have a gun, be a bit more subtle. Take lessons from James Bond. Tasteful fashion is hard to get. Trying hard to get it makes it even harder. Perhaps the first step is to try to make working in showbiz a bit more of a viable career path for the supposed “best and brightest” of the private school set. Otherwise, all you’ll get are designers of stories and looks who know nothing about the “rich” characters they populate their dramas and romcoms with. That’s a tall order as well considering Pinoy showbiz has still to shake off the baduy stigma it suffers in polite conversations within the closed doors of the exclusive soirees very few have access to. Previous Article The fact that the Opposition are preparing for the 2019 elections means democracy is not “dead”! Next Article Why are Filipinos reluctant to call wrongdoing out? Fashion in our country is nothing but a caricature. They want to imitate Western /Parisian fashion. We have good Filipino fashion designers, but they are few and far between. Designing dresses and clothes, requires also some innovation and expertise. Fashion designing may come to: what is wearable, practical , outlandish or even outrageous ! Unfortunately when local people try to synthesize anything from abroad, it comes natural to dumb it down to make it masa friendly. Nothing from abroad that goes through FIlipino hands comes out improved . Its actually a thing right now. James is just being on trend. Why it even landed in the front pages of most major dailies suggests that “kilig” type of journalism sells. What is appalling is most of these kids are barely out of senior high (if ever they still go to school) and packaged in dresses and make-ups like transvestites ready to get physical in gay bars to get their man. Classy is when a woman / man has everything to flaunt, but chooses not to show it. g. Always cover their nose when walking becaue classy people hate the body-aroma of sweaty Filipinos …. I. When they arrive home … THEY LINE UP THEIR HOUSEMAIDS AND THROW SLIPPERS AT THEM …. NOW THAT IS CLASSY !!!! !